Research and Development Funding for Businesses | Mentor Works Ltd.
Research and development activities support innovation and enable Canadian companies to achieve competitive advantages over other domestic and international firms. These types of activities are not just for research-focused companies and large businesses with substantial R&D budgets, but also for smaller companies that seek an edge over products and services that currently dominate the market. Innovation is a mindset that businesses must adopt to remain a viable choice to customers; without research and development, there will eventually be solutions available to your client base that are more appealing than your offerings. Fortunately, Canadian government funding is available to offset R&D costs and help companies stretch their research budgets. Use the following image links to access information on research and development projects, including Canadian government funding programs and resources to support your innovation strategies. Research grants, loans, and other incentives support innovative businesses across the country. Use the following categories to reveal funding for your upcoming project. Accelerating Innovations Into Care Accelerating Innovations Into Care supports the testing and validation of health technologies through collaborations of Alberta SMEs and public health providers. Accessible Technology Program The Accessible Technology Program supports development and testing of assistive technologies. It seeks to improve digital/knowledge economy participation among persons with disabilities for a more inclusive, diverse workforce. AgriInnovate AgriInnovate supports commercialization and/or adoption of innovative agri-based products, technologies, processes or services. AgriScience AgriScience supports research and development projects that benefit the agricultural and agri-food sector, either independently or as part of an innovation cluster. Alberta Media Fund The Alberta Media Fund supports organizations and individuals developing screen-based media, books and magazines, and sound recordings. Alberta-Ontario Innovation Program The Alberta-Ontario Innovation Program (AOP) supports collaborative research and development projects that accelerate the commercialization of technology and/or productivity improvements of businesses. AV R&D Partnership Fund: Technology Demonstrations The AV Research and Development Partnership Fund supports technology developers working with partners (typically other SMEs, large enterprises, post-secondary institutions, and non-profits) to develop, prototype, and validate autonomous vehicle technologies. Canada Media Fund: Experimental Stream The Canada Media Fund Experimental Stream supports the conceptualization, prototyping, production and promotion of innovative, interactive content. Canadian International Innovation Program (CIIP) The Canadian International Innovation Program (CIIP) supports collaborative research and development projects that lead to commercialization of new products, services, or processes. Commercialization Support for Business Program (CSBP) The Commercialization Support for Business Program (CSBP) supports product development, commercialization, and export market development. Customer Demonstration Program The Customer Demonstration Program supports technology demonstrations between two or more Ontario-based businesses, including a ‘market disruptor’ and a ‘receptor’ who can purchase/adopt the technology. Health Technologies Fund The Health Technologies Fund supports development of leading, market-ready healthcare technologies that are made in Ontario. IESO Conservation Fund The IESO Conservation Fund supports conservation and demand management programs, practices and technologies that reduce electricity consumption in Ontario. Industry Commercialization Associates Program The Industry Commercialization Associates Program supports hiring an associate to perform technical commercialization activities. Industry R&D Associates Program The Industry R&D Associates Program supports hiring an associate to perform technical research and development activities. Innovative Solutions Canada (ISC) Innovative Solutions Canada supports businesses researching and developing novel products and services that solve federal government departmental challenges. Interactive Digital Media (IDM) Fund The Interactive Digital Media Fund supports development of high-quality interactive digital media products such as software and games. IRAP Accelerated Review Process (ARP) The NRC-IRAP Accelerated Review Process (ARP) stream supports innovative activities that solve an internal innovation challenge, such as software implementation, productivity improvements, and production design or marketing projects. IRAP Mid-Size Projects The NRC-IRAP Mid-Size Project stream supports internal development and improvement of innovative technologies, products, and processes. MITACS Accelerate Mitacs Accelerate pairs businesses with Masters, PhD and PDF interns to overcome innovation challenges. MITACS Accelerate PhD Fellowship The Mitacs Accelerate PhD Fellowship connects industry leaders with PhD fellows who spend approximately 50% of their time at the business’ site to work on R&D projects. MITACS Elevate Mitacs Elevate supports innovation-driven partnerships with PhD fellows to solve critical industry issues. NOHFC Applied Research & Technology Development Projects NOHFC’s Applied Research & Technology Development Projects program supports companies moving an innovative product or service through the late-stage development and commercialization process. NOHFC Opportunity Assessment Projects NOHFC’s Opportunity Assessment Projects program supports companies identifying new technology opportunities and determining project feasibility. NOHFC Pilot Demonstration & Commercialization Projects NOHFC’s Pilot Demonstration & Commercialization Projects program supports late-stage development and pre-commercialization activities, either alone or in partnership with academia. NSERC CRD (1-5 yrs) The NSERC Collaborative Research and Development (CRD) program supports longer-term research and development projects (up to 5 years), usually following an NSERC Engage project with the same faculty partners. NSERC Engage (4-6 mth) NSERC Engage supports short-term (up to 6-month) university-industry R&D projects that address a company-specific problem. Product Demonstration Program The Product Demonstration Program supports commercialization activities required to bring innovative technology to market. SD Tech Fund The SD Tech Fund subsidizes expenses related to late-stage development or pre-commercialization of clean technologies. Strategic Innovation Fund (SIF) The Strategic Innovation Fund provides two streams of funding aligned to R&D, including one for Research, Development, and Commercialization projects, and another for Collaborative Technology Development and Demonstration. Voucher Program Alberta Innovates’ Voucher Program supports technology development and building a working prototype. Western Business Scale-up and Productivity (BSP) Program The Business Scale-up and Productivity program helps businesses with high growth potential adapt and commercialize innovative technologies that support productivity, grow operations, and increase exports. Because research and development is so critical to the growth of Canadian companies, it’s worthwhile to understand how your organization can support a culture of innovation. Often, its helpful to observe what other companies are doing to create new products and services, then think about how you could undertake similar projects directed towards your clients or offerings. Forward-looking, proactive companies can continuously improve and offer better products/services to customers, which makes planning and execution of projects so important. Ready to enhance your research and innovation capacity? 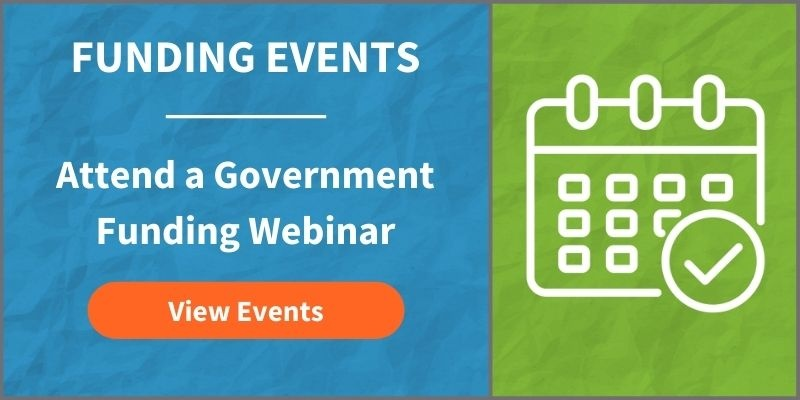 Register for an upcoming Canadian government funding event to learn more about how funding works, how to navigate the government funding process, and support services to help develop a successful application. Mentor Works hosts frequent webinars and live events to help business owners and executives further learn about their funding potential. Register for a session to continue exploring research and development funding programs.